Michelle Fernandez-Castillo 'looks unprofessional' to some people, but she easily proves them wrong about her. A major part of personal success comes from looking the part. If you’re aiming to climb the corporate ladder, you have to look, act, and dress for the top rung. 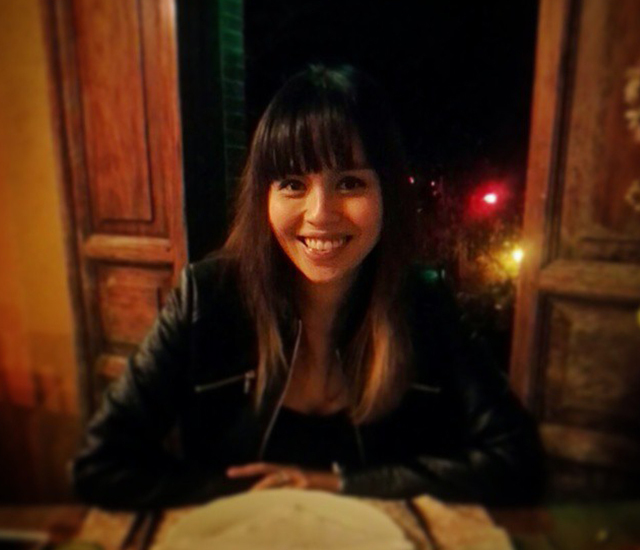 Michelle Fernandez-Castillo, Digital Experience and GTM Director at Globe Telecom, has all the characteristics of a successful corporate executive. She exudes confidence, she knows the right things to say, and she dresses every inch the boss woman. Oh, she also has shockingly blue hair—with streaks of purple thrown in. 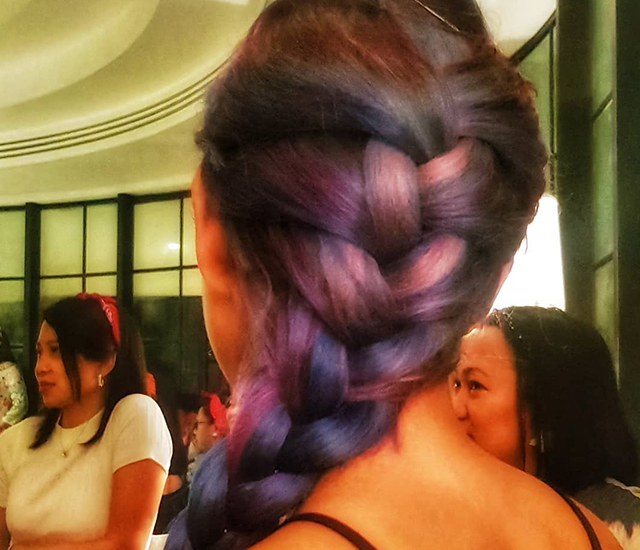 In a society that still has a penchant for conservatism and tradition, outlandish hair colors are still a bit of a taboo, especially if you plan on making a name for yourself in the corporate world. 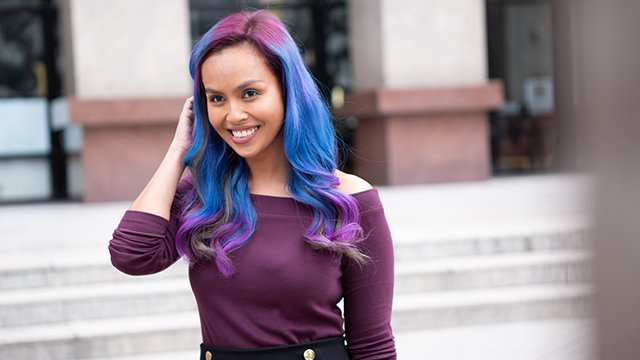 But Fernandez-Castillo, who’s worked in various industries like tech, tobacco, and telco, has gained both success and respect despite breaking the corporate “dress code.” In some ways, her unique hair color has even helped her attain her goals. 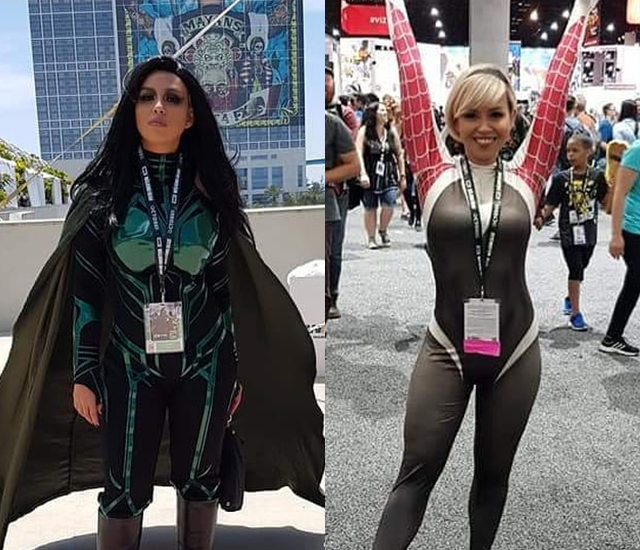 The digital executive, who also dabbles in gaming and cosplay, tells us more about her career progression, how she believes that people should be judged by the value they bring to the company and not by how they look, and how, when it comes to her hair, it’s all her say. Can you briefly tell us about your career growth? Right after graduation, I needed to get a job as I had an ultimatum from my dad: Find work in a month or come home to the province. I took a contractual job in a small but rapidly growing cosmetics company as a visual merchandiser. After three months of handling small events, overnight setups in malls, and having endless permits to fax, I was regularized and given a new job selling hair color door-to-door. It was then that my love affair with hair color began. I carried that passion for color as I moved up the career ladder from salesman to analyst to product manager to brand manager, and now, business director. I've worked in various industries too like tech, tobacco, and telco—some conservative, some open-minded—and I'd like to believe I got to where I am today by staying true to who I really am. Why do you think hair is important for a woman? Aside from your face, your hair is what most people immediately notice, making it a huge basis for first impressions. While it’s perfectly fine for someone to prefer a conventional look, unconventional doesn't equate to being messy, boyish, or weird. Not everyone fits into the same mold, and hair is an expression of that. When was the first time you dyed your hair in an unconventional color? I used to sell hair color so I figured, what better way to sell it than to actually use it? My hair was like my demo or showcase. At the same time, it became a source of strength and pride for me, proof that a woman can be confident and striking without being intimidating, unique but approachable at the same time. What gives you the courage to color your hair, knowing there’s a chance your future employer might judge you for it? It's a risk I gladly take when it comes to any employer I consider working for. I'm certain that if a company cannot be open-minded enough to see past my hair color to discover my value, then they will not be open to new and innovative ideas simply because those ideas came from a seemingly unconventional source. Simply put, I want to work in a company that I can go an adventure with, whom I will happily take risks for, and will also take a chance on me. What made you go blue? Cool tones suit my complexion more whether it's for makeup, clothes, or hair. So when choosing my hair color, I'm partial to those shades. The first time I colored my hair blue was about three years ago but in a more subdued shade, since I was working in a more conservative company. It already raised a lot of eyebrows then, but I thought I rocked it. Now that I work in a much more unconventional work environment, I decided to give it another go, but in a bolder, more striking hue. What impact does having blue hair have on you? Because people in the office are so used to me having brightly colored hair now, I actually sometimes forget that I have blue hair. I find it funny when people are surprised and someone tells them on my behalf to get used to it as that's just the way I am. When I'm outside though, some people really stare, and not always in a good way. I see them look at me like I'm a weirdo and start whispering to whomever they're with, or make faces like I've somehow offended them. What's interesting is how kids react. I've never had a negative reaction from kids—no judgment, only genuine smiles, and sometimes they even ask if they can touch my hair. It makes me happy to think that we all started out like that—full of wonder and curiosity, not worried about convention and norms. What comments have you received about your hair in the workplace? There are good and bad comments. Let's start with the good. I've been told I look like I’m so much fun to hang out with, that I am courageous and creative and inspiring. Some have said they wish they could color their hair too, and a few have actually tried and loved it. People have said they look forward to seeing what color I will choose next, and that seeing me brightens their day. On the negative side, I've been politely told to tone it down. I've been asked if I'd like to look a bit more "professional," and I've been told that even though I'm intelligent and full of potential, my career won't go very far simply because I am too distracting and refuse to blend in—they think that makes me shallow, that I care more about being noticed than making others feel comfortable by being like everyone else. My reaction each time has always been the same. I say “thank you,” “I understand.” But I also make it clear that it's my hair, my say. I will continue to be who I am and I am prepared to accept the outcome of my choices. Why do you think your employers let you wear the hair you want? I know they don't see it as something that keeps me from being effective; they see it as my quirk, which doesn't negatively affect the people I work with in any way. It even entertains some of them—so why would they feel the need to tell me how to wear my hair? How do you think your unique image empowers you at work and in your personal life? Because I look the way I do, it's easier for people to remember me. At work, in an office of 6,000 people, I don't have to keep re-introducing myself. When I present, I hold people's attention a bit longer because they're intrigued about what that girl with the bright hair has to say. If I have an unconventional idea, it's not thought of as crazy; it'll have a chance to be seen as creative. As for my hobbies, I am super into geeky stuff and I cosplay, so it's easy to get into character. I was once even asked to go on stage at San Diego Comic-Con because I was so in character. Your hair is clearly an expression of your creativity, strength, and boldness. Would you say your hair also inspires you in return? My hair is a source of my energy and creativity. 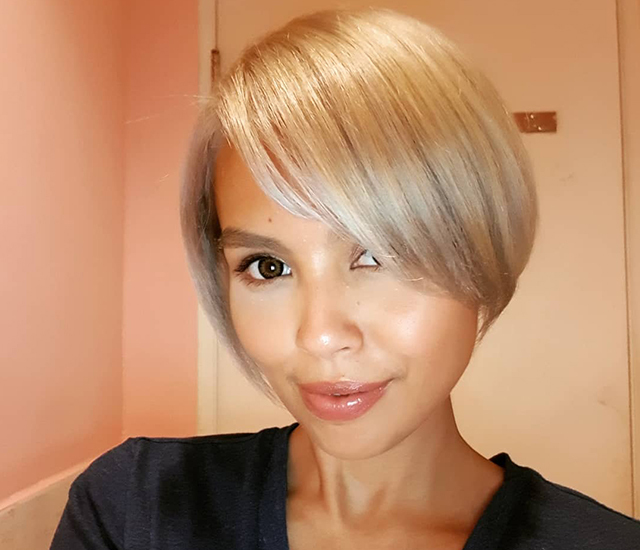 Whenever I'm stuck in a rut, tired, or out of ideas, I change my color or get a haircut, and it's like I'm a new person who has a new bag of tricks up her sleeve. Every time I launch a new product, I match my hair color to the product's colors or theme. It's like a ritual for me, a show of commitment, and also a lucky charm for the project to go my way. It hasn't failed me yet! I try to change every three months at least. I'm due for a color change in fact, and will try a mix of pink and purple. You’ve colored your hair red, blonde, silver, and pink in the past. How do you make sense of your hair transformations and moving up the corporate ladder? I believe that I'm proof that times are changing, that we are living in a society that is realizing different doesn't mean bad or wrong. Different is just different, and sometimes different can be good too. No matter how conservative a company or person might be, people want to have their curiosity piqued. Everyone wants to be surprised, challenged, delighted, made to wonder. I can't and I won't stop people from judging me, from staring at me. I can only hope that the right people will stare long enough to see more than just the hair color and get to know me as a person—how I think, what I stand for and how hard I'm willing to work to see things through regardless of the color of my hair. How would you describe your life right now? Would you say it’d be the same if you weren’t coloring your hair? The life I'm living is exactly the life I want. It's the life I've chosen and created for myself. Honestly, I can't imagine it being any other way because if I didn't have the freedom to choose something as simple and seemingly inconsequential as the color of my hair, then I wouldn't have had the courage to make the difficult choices or stand up for bold ideas my chosen career entails. What advice would you give to other women in the corporate world who are afraid to pursue bolder hairstyles and hair colors out of fear of judgment? To every person who has been on the same boat, my advice is to do what feels right for you, not what others say is right. The opinions of a few will not determine your fate. YOU will. Your success doesn't depend on the color of your hair but the strength of your will. I say this with the utmost passion because I have lived it and I truly believe it. For inspiration on your next hairstyle, follow Dove on Facebook. This article was created by Summit Storylabs in partnership with DOVE HAIR WOMEN.